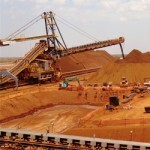 BHP fined over worker’s death (0) March 20, 2013 BHP Billiton has been fined $130,000 for the death of a worker in Port Hedland. 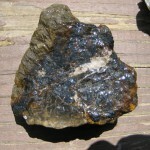 Leadership change for explorers (19) March 20, 2013 The constant wave of leadership changes in the mining industry looks set to continue, with MOD Resources and Eclipse Metals both making changes to their executive teams. 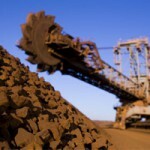 Iron ore forecasts cut (0) March 20, 2013 Slowing global demand has resulted in banker Goldman Sachs cutting its iron ore price forecast estimates. NT Government supports increased mining exploration (0) March 19, 2013 The NT government is unsatisfied with the fact that there have been so few new mining projects in the past few years. 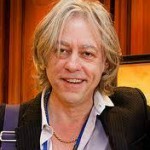 Bob Geldof says WA can’t put all its energy into just mining (0) March 19, 2013 Sir Bob Geldof says that Western Australia needs to diversify its economy and can’t rely solely on the riches of the mining boom. 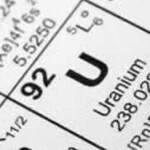 Qld uranium mining report welcomed by QRC (0) March 19, 2013 The Queensland Resources Council has welcomed a report into the possible recommencement of uranium mining in Queensland. 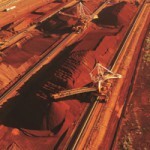 Vale joins iron ore fray (0) March 19, 2013 Vale has weighed into an argument between China and the world’s iron ore miners by dismissing claims companies are reducing export quotas in order to push up commodity prices. 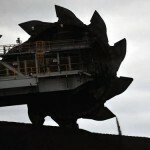 Rio may cut another 100 coal jobs (0) March 19, 2013 Rumours have emerged that Rio Tinto is eyeing a fresh round of redundancies at its Australian coal mines. 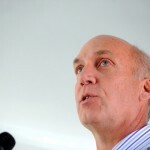 Mining must do more for communities: Sundance chief (0) March 18, 2013 Sundance Resources chief George Jones says the mining industry has a responsibility to do more work in the community. 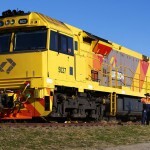 QLD government has no plans to sell further Aurizon shares (0) March 18, 2013 The Queensland Government has no further plans to sell its stake in Australia’s largest coal transporter, Aurizon Holdings. 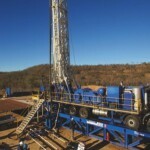 NSW Minerals Council accuses anti CSG activists of fear campaign (0) March 18, 2013 The peak mining organisation has launched a campaign to defend coal seam gas extraction from opposition by environmental activists. 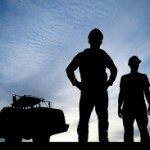 Most FIFOs aren’t miners: report (0) March 18, 2013 Miners make up less than a fifth of Australia’s FIFO and DIDO workforce, with most long distance commuters coming from the health, government, and construction industries, a study has found. 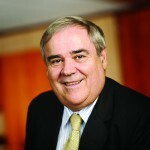 BC Iron boss steps down (0) March 18, 2013 Fledgling Pilbara iron ore miner BC Iron has annouced its managing director, Mike Young, will be stepping down in May. 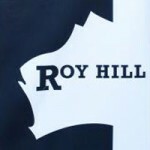 Rinehart’s Roy Hill contract will be announced this week (0) March 18, 2013 Gina Rinehart’s Roy Hill project is set to announce its preferred engineering and procurement contractor in coming days. 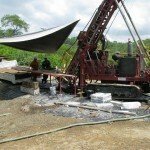 Mining recovery underway: Fund boss (0) March 18, 2013 The CEO of Henderson Global Investors says the mining industry will re-strengthen over the next few years, and there’s still plenty of money to be made in the sector. Prospector found dead in outback NSW (0) March 15, 2013 A missing prospector has been found dead and his companion has been taken to hospital after their 4WD became bogged in mud near Broken Hill in outback NSW. 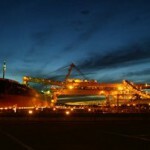 Negotiations start for new QLD coal port (0) March 15, 2013 A group of coal producers in Queensland have started negotiation over access to the proposed Dudgeon Point port south of Dalrymple Bay. 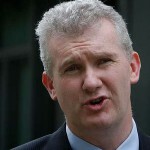 Poll shows overwhelming support for Gillard’s 457 visa stance (0) March 15, 2013 A poll has revealed that 89 per cent of Australians believe that that mining companies should look for local workers before employing foreign workers on 457 visas. 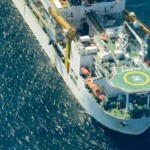 Soviet sub hunt data used for seabed mining exploration (0) March 15, 2013 Lockheed Martin, one of the world’s largest military equipment manufacturers, is planning to use data from a cold war sub hunt for deep sea mining exploration. 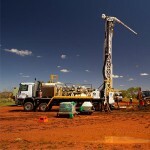 Gold miner creates 120 jobs (0) March 15, 2013 Gold miner La Mancha Resources has announced massive expansion plans and will be launching a recruitment drive in order to double its WA Goldfields workforce. 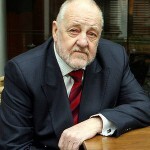 Former Pike River mine boss cops local hostility (0) March 15, 2013 Hostility from Greymouth locals, administrative issues and travel problems are all reasons why Former Pike River Coal boss Peter Whittall wants his trial shifted to Wellington in New Zealand. 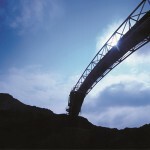 Xstrata set to double coal production in QLD (0) March 14, 2013 Xstrata is pushing ahead with its expansion of Rolleston coal mine in Queensland, signing a deal with Aurizon that will see haulage increase to 20 million tonnes per year. 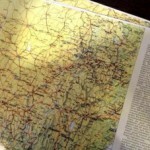 Regions miss out on resources (0) March 14, 2013 Parts of regional New South Wales have missed out on Resources for Regions funding, resulting in NSW Labor calling for an overhaul of how the impacts of mining is assessed. 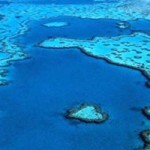 Mine expected to sidestep new legislation (0) March 14, 2013 Changes to the federal Environment Protection and Biodiversity Conservation Act announced by Environment Minister Tony Burke on Tuesday will afford increased protection to water resources. Uranium group welcomes WA Liberals (0) March 14, 2013 The Australian Uranium Association says the Liberal victory in Western Australia has provided certainty for the state’s uranium sector. Tinkler faces court over failed coal company (0) March 14, 2013 Nathan Tinkler has arrived at the NSW Supreme Court to face questions over his role in his failed company Muslanne Resources. 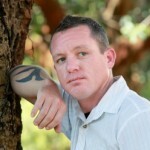 Drug abuse back in the spotlight (0) March 14, 2013 Mining workers in Queensland have again spoken out over a culture of drug abuse in fly-in fly-out camps, and police say illegal drug makers are specifically targeting the industry. African president visits Mackay’s coal (0) March 14, 2013 The President of the Republic of Mozambique Armando Guebuza was in Mackay yesterday learning about coal export and infrastructure in the region as part of his Australian tour. 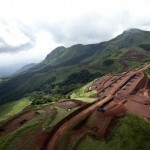 Rio committed to African iron ore (0) March 14, 2013 Despite the slow progress of Rio Tinto’s African Simandou iron ore project the company remains committed to its development. Greens want coal terminal expansion stopped (0) March 14, 2013 The Greens have called on the Senate to block the construction of a fourth coal terminal at Kooragang Island amid growing public health concerns. Fortescue again increases Nyidinghu resource (0) March 14, 2013 Fortescue Metals Group has again increased its iron ore resource at Nyidinghu, after uncovering an additional 450 million tonnes. Ammonia leak at Orica Kooragang Island factory (0) March 14, 2013 Orica and the Environmental Protection Agency are investigating an ammonia leak that occurred at Orica’s Kooragang Island ammonia plant yesterday at approximately 1:15 pm. Japan discovers subsea ‘fire ice’ (0) March 13, 2013 Japan’s recent successful extraction of methane hydrate, known as “fire ice”, from its seabed could secure the country’s future gas supply. 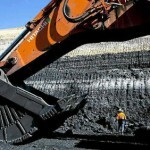 Federal Government moves to increase mine approval powers (0) March 13, 2013 Federal Government Environment Minister Tony Burke on Tuesday announced plans to increase powers around the approval and rejection of coal mine and coal seam gas projects. Stream Magazine, coming to a screen near you (0) March 13, 2013 Today marks the release of sustainability magazine Stream’s first 2013 edition. 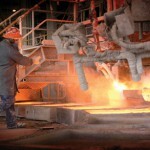 Aussie technology could revolutionise nickel industry (0) March 13, 2013 The CSIRO has begun testing new technology that could unlock 70 per cent of the world’s nickel supply. Mining on show at Rockhampton Expo (0) March 13, 2013 CQ Transport, Trades and Mining Expo gets underway in Rockhampton today with over 400 companies promoting their businesses and products. BHP facing bribery scandal (5) March 13, 2013 A joint US-Australian criminal investigation is eyeing “suspicious transactions” made by BHP Billiton to foreign officials during the 2008 Beijing Olympics. 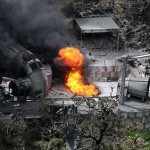 Mine accident kills 21 in China (0) March 13, 2013 A gas blast at a coal mine in China’s southwest has killed 21 people, with a further four missing. 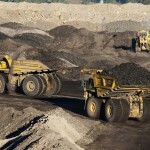 Thomson calls for coal export restrictions (0) March 13, 2013 Banning the exportation of coal mined from the New South Wales Wyong Valley is what former Labor minister, turned crossbencher Craig Thomson is calling for. Don’t mine uranium in QLD: Fukushima survivor (0) March 13, 2013 A survivor of the Fukushima nuclear accident wants the QLD government to reinstate its ban on uranium mining. 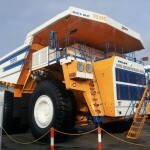 BHP moving toward “next generation” mining (0) March 13, 2013 BHP Billiton says it will focus on automated equipment and new technology as it moves toward “next generation mining”. 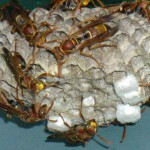 Excavator driver attacked by hornets (0) March 13, 2013 A man has been attacked by hornets after he rolled his excavator onto a nest in Western Australia’s Herron. Coal train reports near miss with crop duster (0) March 13, 2013 A coal train driver has reported a near miss with a crop duster plane in Queensland. 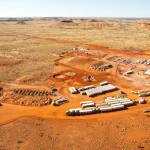 Sirius Resources becomes Australia’s latest billion-dollar company (0) March 12, 2013 Strong performer Sirius Resources has become Australia’s newest billion-dollar company. Protests block Whitehaven’s Tarrawonga mine (0) March 12, 2013 Jonathan Moylan, the protester behind the Whitehaven press release hoax earlier this year claims activists have stopped the transport of coal from the company’s Tarrawonga mine. 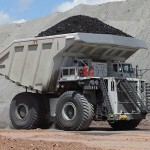 Miner advises investors to exercise caution on concept study statements (0) March 12, 2013 Stanmore Coal has announced plans for an $869 million underground longwall mine in Queensland with first coal expected to hit the market in 2017. Safety award for WA contractor (0) March 12, 2013 Mining contractor Underground Services has been awarded WorkSafe WA’s highest honour after racking up 963 days without a lost time injury. 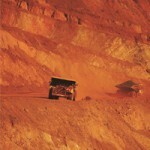 18,000 applicants for 1,000 mining jobs (0) March 12, 2013 Desperate applicants have flooded BMA with 18,000 applications for 1,100 roles on the Caval Ridge and Daunia mines near Moranbah. 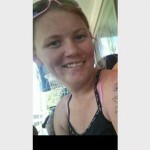 Miner charged with murder (0) March 12, 2013 An employee at a New South Wales mine was yesterday charged with the murder of his girlfriend. 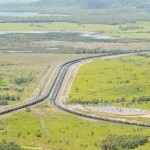 $6 billion port/rail project slated for QLD (0) March 12, 2013 Aurizon and Indian mining giant GVK have announced a partnership that will see them build $6 billion worth of rail and port infrastructure for mining projects in Queensland. 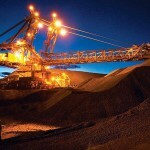 BHP looking to sell assets (0) March 12, 2013 BHP Billiton is looking to sell around 10 assets in order to simplify its portfolio and reduce debt. 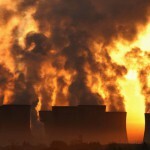 Xstrata opts for safer brownfields projects (0) March 11, 2013 Mining giants across the nation are tending towards the conservative side when it comes to capital expenditure. 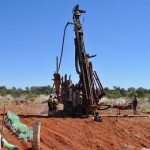 Brierty awarded $15 million Atlas Iron project (0) March 11, 2013 Civil and mining contractor, Brierty Limited has received a notice of award to undertake its first contract for Atlas Iron Ore Limited. 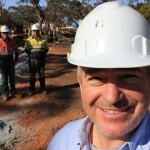 WA’s Liberal landslide good for miners (0) March 11, 2013 Liberal’s win at the weekend’s Western Australian state election means resource companies will continue to receive state government support, industry commentators say. 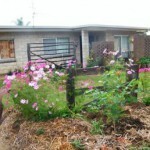 Action plan tackles housing affordability (14) March 11, 2013 The Queensland Government has released an action plan to tackle the housing affordability crisis in mining regions. 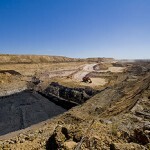 Thiess wins $212 million Gorgon deal (0) March 11, 2013 Thiess has signed a new contract to deliver further civil works on the Chevron-operated Gorgon Project in Western Australia. 100 jobs on offer in Port Kembla (0) March 11, 2013 Engineering and project management firm Mainteck has won two major contracts that will see it double the size of its workforce. 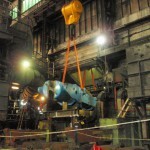 Leussink/Corts partnership to roll into Kazakh steel mills (0) March 10, 2013 Leussink Engineering has teamed up with German precision flat bearing company Corts Engineering to refurbish AcelorMittal steel mills in Kazakhstan. 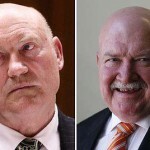 Mining heavyweight tries to shut down ICAC inquiry (0) March 8, 2013 Mining heavyweight Travers Duncan has launched legal action aimed at shutting down the Independent Commission Against Corruption inquiry in which negative evidence was given about himself. 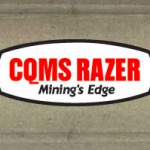 Mining manufacturer cuts more jobs (0) March 8, 2013 Queensland mining manufacturer CQMS Razer will slash another 60 jobs next week, building on the workforce reductions it made late last year. 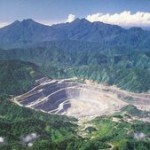 World first mining laws for Bougainville (0) March 8, 2013 Papua New Guinea’s copper-rich island of Bougainville is aiming to introduce world first mining laws that would see traditional landowners share mineral rights with the government. Miners manipulate the market: China (0) March 8, 2013 The Chinese Government has accused BHP Billiton and Rio Tinto of holding back iron ore shipments in order to cause an artificial boost in commodity prices. 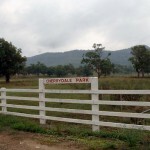 Wandoan coal mine may not go ahead (0) March 8, 2013 Doubts have been raised over the future development of a coal mine near Wandoan on Queensland’s Western Down’s region. 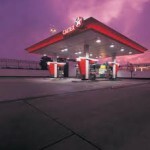 Gender equality: Caltex chooses commitment over token gestures (0) March 8, 2013 The need to recruit more women in the mining sector has been flagged by the Minerals Council of Australia and the Federal Government’s recent Women in Leadership Census. 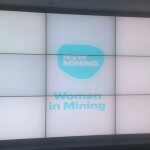 Mining women recognised at NSW Minerals Council’s WIMIN_NSW (0) March 8, 2013 The NSW mining awards for women were held in Sydney last night, celebrating the breadth of female talent across the industry. 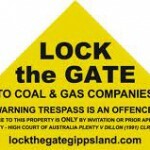 Lock the Gate wants tougher laws on mining (0) March 7, 2013 Anti mining group Lock the Gate is launching a national campaign calling for immediate law reforms for the mining industry. 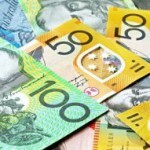 The next phase of the mining boom is here: Swan (0) March 7, 2013 Treasurer Wayne Swan says new figures showing a jump in exports and growth in the economy prove the next stage of the mining boom is upon us. 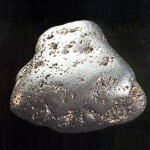 New technology could “transform” ore processing (0) March 7, 2013 Researchers at Murdoch University have trialled a new technology they say could “transform” the mining process for platinum, palladium, and other precious metals. 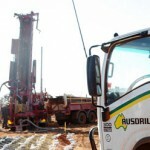 New project to offer 400 mining jobs (0) March 7, 2013 Vale and Aquila Resources say they’ll be looking to hire around 500 construction workers and 400 miners once the Eagle Downs underground project opens near Moranbah next year. 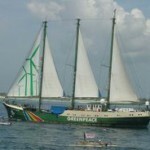 Greenpeace protest Queensland’s coal industry (0) March 7, 2013 Greenpeace is preparing to protest against Queensland’s coal industry next month by bringing its ship, Rainbow Warrior, to the region. 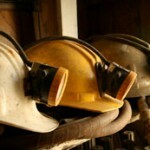 Harlem Shake miner says sacking was ‘harsh’ (0) March 7, 2013 One of the miners sacked for doing the Harlem Shake has said he was a dedicated employee known for his strong work ethic. 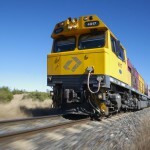 Aurizon awarded Qld coal haulage contract with BMA/ BMC (0) March 7, 2013 Aurizon has secured a contract for the haulage of up to 65 million tonnes per annum (mtpa) of coal from mine operations in Queensland. 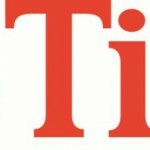 Mining contractor killed on Queensland site (0) March 7, 2013 An Incitec Pivot contractor died late yesterday morning while working for the company on site in Queensland’s Mount Isa. 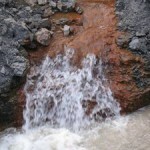 Rio Tinto fined for environmental infringement (0) March 6, 2013 Mining giant Rio Tinto has been fined for a breach of environmental regulations while releasing water from its Hail Creek mine during recent floods. 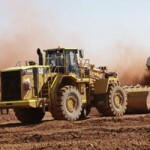 New Pilbara mine a step closer to reality (0) March 6, 2013 Flinders Mines has made a significant step toward making its Pilbara mining project a reality, with a spate of new contracts recently signed with Chinese steel mills. 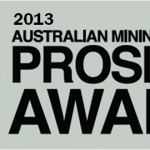 Australian Mining award nominations open (0) March 6, 2013 Nominations are now open for the 2013 Australian Mining Prospect Awards which is now in its tenth year of recognising and rewarding the best in the mining industry. FMG kicks off mining tax challenge (0) March 6, 2013 Fortescue Metals Group is set to appear before the High Court in Canberra today to kick off its long-awaited challenge to the mining tax. 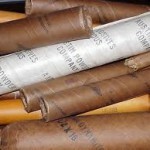 Explosives found in miner’s home (0) March 6, 2013 Explosive uncovered in a miner’s unit in South Australia have been safely detonated. Mt Gordon copper mine to close (0) March 6, 2013 Aditya Birla Minerals’ Mt Gordon copper mine will be placed under care and maintenance mode at the end of April 2013. 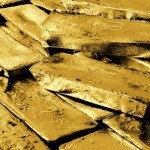 Gold quarterly review (0) March 6, 2013 Gold remains strong for the last quarter, despite a decline in production. Electronics in mining: protective enclosures (20) March 6, 2013 With the continued opportunities afforded by the mining industry in Australia, many electronics manufacturers are engineering products for use in mines. Safety in Action is only a fortnight away (0) March 6, 2013 This year’s Safety In Action – including everything you need to know if you’re serious about workplace health and safety – is only two weeks away. 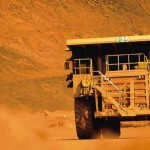 Resource Pacific ordered to pay compo (0) March 5, 2013 Resource Pacific has lost its appeal against a miner’s compensation claim, after incidents at the company’s Ravensworth mine resulted in the employee suffering a psychiatric illness. Dairy protests: Got coal with your milk? 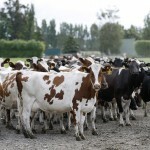 (0) March 5, 2013 Protesters take on NZ dairy company Fonterra over proposed coal mine. 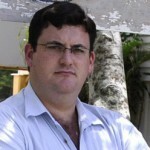 Enviros apologise to Palmer for ‘unfounded’ claims (0) March 5, 2013 The World Wildlife Fund has withdrawn its comments and apologised for ‘unfounded’ claims made about Clive Palmer’s nickel refinery in north Queensland. 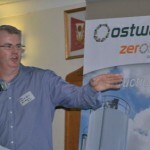 NSW Farmers say risk to opal mining exaggerated (0) March 5, 2013 Claims that the opal mining industry is at risk due to over regulation has been attacked by NSW Farmers. 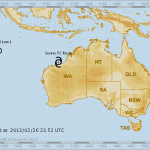 Sacked Harlem Shake miners split social media (0) March 5, 2013 Social media opinion across Australia is divided after 15 mine workers were sacked for doing the Harlem Shake dance craze while working underground. 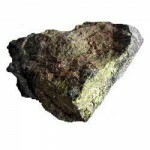 Battle over site ‘desecration’ continues (0) March 5, 2013 Mining junior OM Manganese has reinforced claims it damaged but did not desecrate an Aboriginal site in the Northern Territory, the Darwin Magistrates Court has heard. 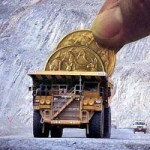 Pay cut for new Boart boss (0) March 5, 2013 The new CEO of Boart Longyear, Richard O’Brien, will take a paycut close to 40 per cent on his previous position as Newmont Mining CEO. 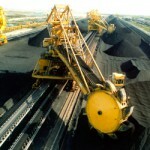 Massive $3bn mine planned for QLD (0) March 5, 2013 A Chinese coal producer is drawing up plans that could see it create a $3 billion mine in Queensland that would dwarf Australia’s biggest black coal developments. 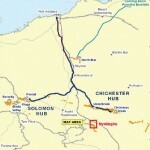 Construction of Santos gas pipeline to start in coming months (0) March 4, 2013 Santos has commenced preparations for tunneling under Gladstone Harbour with the arrival of a 277 tonne tunneling machine. 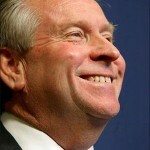 Rinehart’s son-in-law told to quit Mineral Resources (0) March 4, 2013 Gina Rinehart’s son-in-law was asked to resign from the board of Perth mining company Mineral Resources the month after his wife commenced legal action against her mining magnate mother. 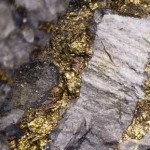 Rio makes further cuts in Africa (0) March 4, 2013 Plunging uranium prices have forced Rio Tinto to cut 17 per cent of the workforce at its Roessing uranium mine in Namibia. 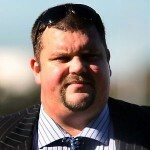 Tinkler’s wealth takes another dive (0) March 4, 2013 Former billionaire Nathan Tinkler has seen his embattled wealth take another hit following the fall of Whitehaven Coal’s share price which is currently nearing four-year lows. 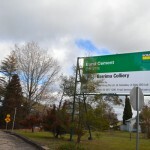 Mine expansion denied amid community concern (0) March 4, 2013 Berrima Colliery’s plan to extend its coalmining operations to 2020 has been refused after locals complained about noise and traffic from coal-hauling trucks. 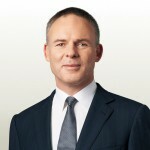 New CEO for Lynas (0) March 4, 2013 Lynas Corporation CEO Nicholas Curtis is set to step down at the end of this month, as the company moves into rare earths production. 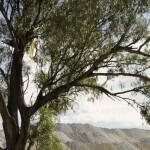 Environmentalist escapes jail (0) March 4, 2013 An environmentalist has escaped jail after charges against her were thrown out of the Narrabri Local Court. 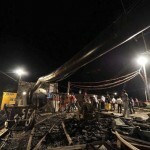 11 killed in Chinese coal mine fire (0) March 4, 2013 A fire at a coal mine located in China’s north has killed eleven employees, two workers remain missing. 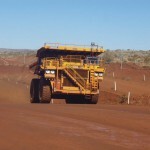 Mining wages unsustainable: QRC (0) March 4, 2013 The Queensland Resources Council has echoed mining magnate Gina Rinehart’s recent claims, announcing the mining sector’s high wages are unsustainable. 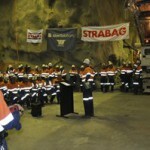 Miners sacked over Harlem Shake dance (0) March 4, 2013 Fifteen mine workers have been sacked for doing the Harlem Shake while working underground. 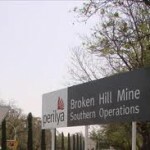 Perilya to open new mine at Broken Hill (0) March 1, 2013 Perilya is set to start production later this month at its Potosi silver, lead, and zinc mine near Broken Hill. 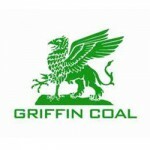 Griffin cuts coal jobs (0) March 1, 2013 Griffin Coal has axed 17 workers from its Collie coal operation less than a month after it claimed it was not looking at reducing staff numbers. Native seeds used to rehabilitate mine (0) March 1, 2013 Rio Tinto subsidiary Coal and Allied are using the latest agricultural technology to plant a blend of native grass seeds over 80 hectares of rehabilitated mining land. 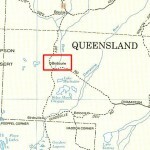 Land released for exploration (0) March 1, 2013 The Queensland government is planning to release three new areas of greenfield land in the north-west of the state for mineral exploration, creating potential jobs in the region. 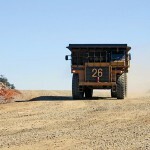 Timely information key for mine site safety (0) March 1, 2013 Safety above profit is commonly exclaimed as mining company’s priority order, but what is really being done to ensure this? 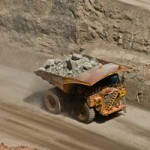 Mining slowdown dents business spend (0) February 28, 2013 A slowdown in the mining sector has contributed to an unexpected drop in business investment, new figures from the Australian Bureau of Statistics show. 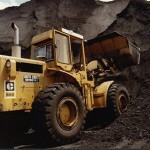 Vale wipes $1bn off Aussie coal (0) February 28, 2013 Brazilian mining giant Vale has written down its Australian coal assets by $1 billion and posted a record quarterly loss. Opencast plans for Pike River mine (0) February 28, 2013 Officials are investigating a proposal to turn Pike River mine into an opencast coal pit. Xstrata declares “zero tolerance” on synthetic drugs (0) February 28, 2013 Xstrata officials in north Queensland have taken a “zero tolerance” approach to synthetic drug use in the mining industry following warnings from police about the region’s problems. 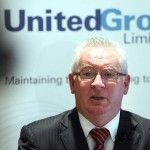 UGL slashes over 1000 jobs (0) February 28, 2013 Mining services company UGL has announced over 1000 jobs will be cut after its earnings guidance was yesterday downgraded. 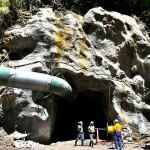 New Tarkine mine to create 1000 jobs (0) February 28, 2013 A third new mining project in Tasmania’s Tarkine region is likely to gain approval soon, Premier Lara Giddings said. 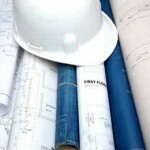 Macmahon sells construction arm to Leighton, Sembawang: We’ll be back (0) February 27, 2013 Leighton Holdings today announced the purchase of ten Macmahon Holdings construction project has been approved by Macmahon shareholders. 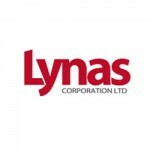 Lynas beats doubters, produces first rare earths (0) February 27, 2013 Lynas Corporation has overcome legal battles and environmental activists to produce its first rare earths products from its Malaysian processing plant. 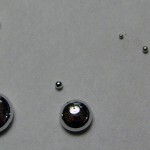 Metal used to create lifelike cells (0) February 27, 2013 Living cells have been made of metal instead of carbon, and one British researcher thinks the creations they may be evolving. 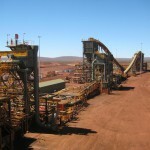 Rio under pressure as S&P downgrades its outlook rating (0) February 27, 2013 Rio Tinto’s mounting debt levels have prompted ratings agency Standard & Poor’s to downgrade the mining juggernaut’s credit rating outlook from stable to negative. 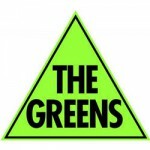 Greens urge unions to fight coal (0) February 27, 2013 Greens senator Richard Di Natale has declared union boss Paul Howes needs to acknowledge the health dangers of the coal industry poses in an effort to protect the public. 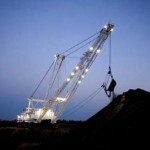 Mining slowdown felt by Ausdrill (0) February 27, 2013 Ausdrill have reported a 12 per cent profit fall amid a slowdown in the mining sector. 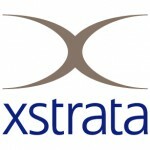 Xstrata posts production records across the board (0) February 27, 2013 Xstrata has posted new production records for its thermal coal, nickel, and zinc operations, but says copper production has dropped 16 per cent. Pilbara on red alert (21) February 27, 2013 Western Australia’s Pilbara region is on red alert as the severe “slow-moving and erratic” tropical cyclone Rusty edges closer to the coastline. 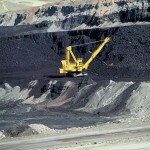 Whitehaven Coal posts loss, moves to cut expenditure (0) February 27, 2013 Whitehaven Coal is viewing its expenditure on future projects as the company posted a net loss of $47 million. 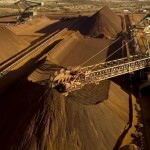 Iron ore prices to crash soon: UBS (0) February 27, 2013 The iron ore price may slump 54 per cent to around $US70 a tonne due to a big lift in supply from mining companies, according to UBS analysts. 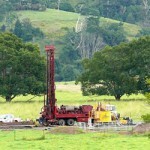 Katter defends mining from Greens assault (0) February 27, 2013 The Greens say the mining industry is crippling Queensland’s agriculture and mining sectors by pushing up the Australian dollar. Greens and the Coalition unite to launch mining tax inquiry (0) February 27, 2013 The Senate has voted to hold another inquiry into the Federal Government’s mining tax which has come in short of projections. “Twiggy” fights attempts to mine his family farm (0) February 26, 2013 Iron-ore mogul Andrew “Twiggy” Forrest is fighting attempts to mine his personal cattle station in Western Australia’s Pilbara. 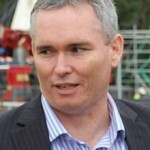 Mitch Hooke resigns (11) February 26, 2013 Minerals Council of Australia chief Mitch Hooke will step down at the end of this year after deciding not to renew his contract. 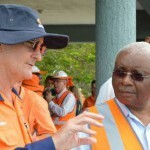 Miners need a lesson in supply and demand: Glencore (0) February 26, 2013 Glencore chief has criticised mining CEOS for saturating the industry with new mines, leading to a surplus in metals and shrinking profits. 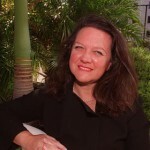 Gina Rinehart reignites foreign worker debate (0) February 26, 2013 Mining tycoon Gina Rinehart has once again flagged cheap foreign labour as a threat to Australian jobs in the mining industry. 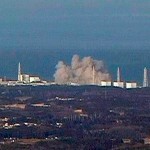 Nuclear debate pushed in QLD (0) February 26, 2013 Politicians in Queensland’s North West have thrown their support behind opening up the nuclear energy debate amid soaring electricity costs. 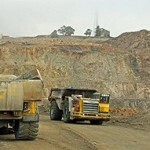 NSW councils unanimously vote for more mining royalties (0) February 26, 2013 Western New South Wales councils have moved to lobby the State Government for a bigger cut of mining royalties. Legal threats over Wyong mine (0) February 26, 2013 A long running battle over a proposed underground coal mine on the NSW Central Coast has reignited with residents threatening to take legal action. 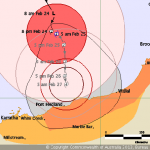 Pilbara cyclone upgraded to category 3 and still strengthening (0) February 26, 2013 Severe tropical cyclone Rusty is continuing to intensify as it closes in on the Pilbara coast. 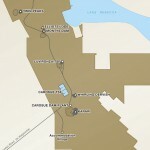 GR Engineering win Saracen contract (0) February 26, 2013 GR Engineering has won a $16 million contract at Saracen’s Carosue Dam project. 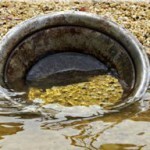 Miners cost farmers $61.5 billion (0) February 25, 2013 The mining boom has cost farmers $61.5 billion in export income after pushing the Australian dollar to historic highs, according to research from left-leaning think tank The Australia Institute. 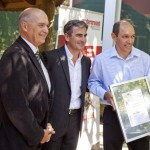 NT uni to boost number of mining tradespeople (0) February 25, 2013 Charles Darwin University has received a $21.3 million grant from Canberra to build a new trades facility aimed at training workers for the mining and energy sectors. 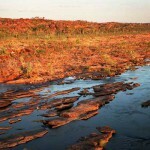 Miners asked to hand over Kimberley leases (0) February 25, 2013 Miners will be asked to give up leases on the Mitchell Plateau under the WA Opposition’s plans to establish national parks in the Kimberley region. 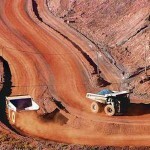 Monadelphous win Rio Tinto iron ore contract (0) February 25, 2013 Monadelphous has been awarded a $260 million construction contract for Rio Tinto’s Western Turner Brockman project. 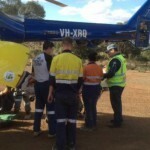 Man airlifted after North Queensland underground mining accident (0) February 25, 2013 The RACQ North Queensland rescue helicopter was called to a remote mine site south east of Mount Isa after an underground mine accident on Saturday. Protesters bomb four coal trucks (0) February 25, 2013 Trucks haven been attacked with explosives during a Colombian mine strike. Fourth lock out in as many weeks for BHP workers (0) February 25, 2013 BHP has again locked mining supervisors out of its Appin coal mine over an ongoing pay dispute. 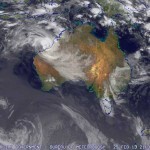 Cyclone closes Pilbara ports (0) February 25, 2013 Major iron ore ports in the Pilbara have been closed as tropical cyclone Rusty bears down on Western Australia’s north-west coast. Plans to re-enter Pike River mine (0) February 25, 2013 A panel of mining experts will meet in Christchurch tomorrow to work on a plan to re-enter Pike River coalmine. NT reports “uncontrolled discharge” from mine (0) February 25, 2013 The Northern Territory’s environmental watchdog has reported an “uncontrolled discharge” from Vista Gold’s Mount Todd mine north of Katherine. 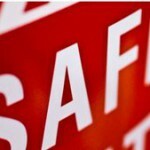 Mine managers could face jail over site deaths (0) February 25, 2013 The WA Government is considering changes to legislation that could see mine managers sent to jail if workers die on site. 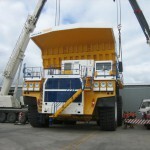 BelAZ launches mining dump trucks into Australia (7) February 22, 2013 BelAZ has launched its 240 tonne and 360 tonne mining trucks into Australia today. 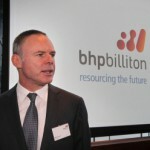 Kloppers’ $75m exit strategy (0) February 22, 2013 Exiting BHP Billiton chief executive Marius Kloppers will take a payout of cash, shares and performance rights worth up to $75.2 million at current prices. 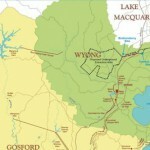 Bylong residents call for transparent coal licence plans (0) February 22, 2013 The State Government yesterday announced it would review exploration licences granted in the New South Wales Bylong Valley under the watch of former mining minister Ian Macdonald. New CSG rules for QLD (0) February 22, 2013 The Queensland government has released new rules outlining how it will manage the coal seam gas industry in the state. 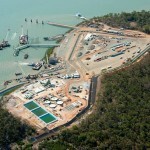 Gas jobs going to locals: Shell (0) February 22, 2013 Shell says their world-first floating gas project will give Australia a competitive advantage in the international job market. 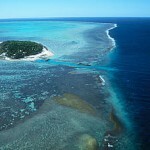 Activists file legal action to stop Rinehart’s mine (0) February 22, 2013 Environmentalists are fighting to stop Gina Rinehart’s $10 billion coal mine, port and rail project going ahead in Queensland. 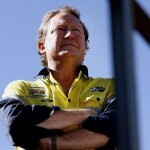 Forrest to donate half his fortune to charity (0) February 22, 2013 Mining billionaire and Fortescue Metals Group founder Andrew Forrest has joined a pledge to donate half of his wealth to charity. 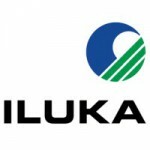 Iluka cuts 200 jobs (1) February 22, 2013 Mineral sands miner Iluka has announced plans to cut up 200 jobs, with most of the reductions felt in its contractor workforce. O’Farrell pulls plans for the Mt Penny mine on ICAC advice (0) February 21, 2013 Premier Barry O’Farrell has this afternoon announced action will be taken to stop the Mt Penny mine going ahead. 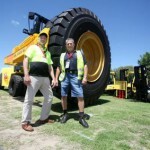 John Howard to open new mining truck operation (0) February 21, 2013 Former Prime Minister John Howard will officially open a new premises for a major supplier of large mining dump trucks in Rutherford tomorrow. 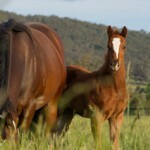 Horse studs in danger from mining (0) February 21, 2013 The Hunter is know for its wine, well bred horses, fresh produce and increasingly its open cut coal mines, and power stations. 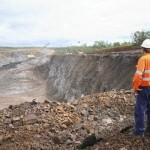 NSW government considers cancelling mining licences (0) February 21, 2013 New South Wales Premier Barry O’Farrell is expected to announce whether or not he will suspend or cancel controversial mining licences granted by disgraced former mining minister Ian Macdonald. 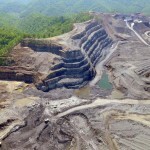 Fourth miner death in two weeks (0) February 21, 2013 A state wide halting of operations has been ordered for West Virginia after the death of four miners’over the past two weeks. 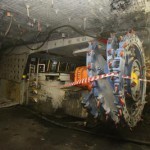 Miners dump NRW as manager of Middlemount mine (0) February 21, 2013 Mining giants Peabody and Yancoal have reached a joint venture agreement to take control of Middlemount mine away from service contractor NRW. 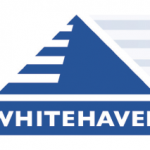 New managers for Whitehaven and Linc Energy (0) February 21, 2013 Whitehaven Coal and Linc Energy are the latest resources companies to shake-up their management teams, with Whitehaven replacing its long-time CEO and Linc appointing a new CFO. 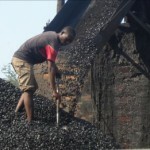 Government takes control of Chinese coal mine (0) February 21, 2013 A Chinese owned coal mine has been taken over by the Zambian government following breaches to safety and environmental standards, the mines minister says. 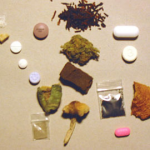 Police blame miners for Mt Isa drug boom (0) February 21, 2013 Police say strong demand from mining workers has helped Mount Isa become the “synthetic drug capital” of North Queensland. 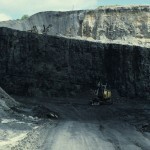 Illawarra coal mine continues expansion (0) February 21, 2013 Gujarat NRE is looking to further expand its coal operations in the Illawarra, with plans to establish new mining domains going on public display. 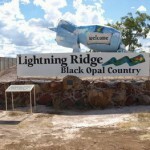 BHP slammed for not hiring locals (0) February 21, 2013 The CFMEU has slammed BHP’s decision to use 100 per cent FIFO labour ahead of locals from Central Queensland communities for work on two mines in the Bowen Basin. 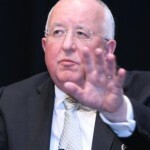 FMG profit slides 40% (0) February 21, 2013 Fortescue Metals Group has blamed a drop in iron ore prices last year for its 40 per cent fall in first-half profit. 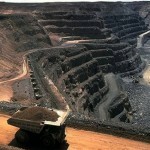 Xstrata dumps Thiess as manager of QLD coal mine (0) February 20, 2013 Mining giant Xstrata will take control of the Collinsville Coal Mine away from Thiess as it pushes for the project to turn a profit. 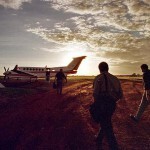 NT Government call for land rights reform (0) February 20, 2013 The Northern Territory government has called for reforms to Aboriginal land right laws. 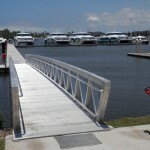 Macmahon urges shareholders to vote in favour of a Leighton purchase (0) February 20, 2013 Macmahon Holdings have hit back at construction company Sembawang’s latest effort to purchase its construction business saying the latest proposal is not superior to the Leighton’s deal. 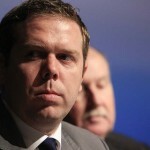 Unions rubbish Milne’s “boo-hoo” speech over Labor and miners (0) February 20, 2013 While Christine Milne has signalled an end to the Labor-Greens alliance, Australian Workers’ Union boss Paul Howes has dismissed Milne’s criticism as a “boo-hoo” moment. 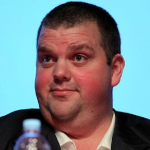 Tinkler settles tax debts but still faces problems (0) February 20, 2013 Mining magnate Nathan Tinkler has settled two tax debt cases but his company Mulsanne Resources still faces liquidation and millions are also owed to a commodity trader and hedge fund. WA’s payroll tax sending Australian jobs across the ditch (0) February 20, 2013 Western Australia’s small businesses are threatening to take their expansion plans across the Tasman to New Zealand in an effort to avoid WA’s payroll tax. 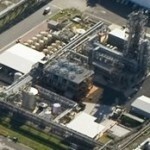 New gas rules will push prices up: unions (0) February 20, 2013 Unions and industry have attacked The NSW Government’s decision to ban all coal seam gas activity, saying it will push up the cost of doing business in the state. 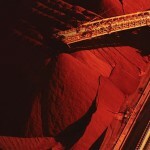 Iron ore prices to dip (0) February 20, 2013 Analysts predict iron ore prices will fall in the coming months. 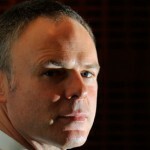 BHP CEO Marius Kloppers quits (0) February 20, 2013 The head of BHP Billiton, Marius Kloppers has announced he will retire from the company. Andrew Cripps puts mining safety first (0) February 19, 2013 The Australian Mining team has dusted off their little black books and pulled out the big guns for this year’s safety conference. 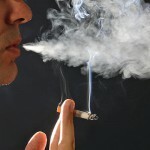 Miner to face court over smoking in underground mine (0) February 19, 2013 A former Bowen basin mine worker will face court later this month after allegedly smoking in an underground mine. 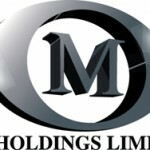 Monadelphous posts record profit (0) February 19, 2013 Engineering firm Monadelphous has posted a record $79.1 million profit, with strength in the mining and engineering sector boosting the company to new highs. 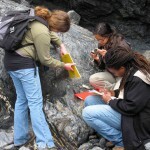 Fast-tracked mining degrees could hurt job market (0) February 19, 2013 Plans by the Minerals Council of Australia to launch fast-tracked associate degrees in geoscience will disadvantage other graduates, a peak science body says. 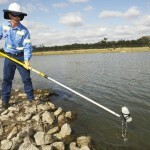 NSW establishes “no-go zones” for CSG (0) February 19, 2013 The NSW Government has made controversial new changes to coal seam gas regulation, banning all activity within two kilometres of residential and industry areas. 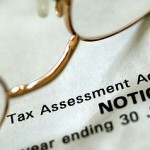 Government faces more pressure over mining tax (0) February 19, 2013 Greens leader Christine Milne will push for a full-scale Senate inquiry into the design and performance of the mining tax. 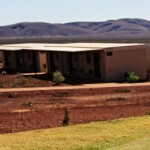 Foreign workers may not be needed: Roy Hill officials (0) February 19, 2013 Officials at Gina Rinehart’s Roy Hill project say if current economic conditions continue foreign workers will not be needed to help build the mine. Quarry workers walk off the job (0) February 18, 2013 Thirty three quarry operators have walked off the job for 24 hours after a dispute over pay. Lightning Ridge opal industry in trouble: miners (7) February 18, 2013 Miners in the outback town of Lightening Ridge say the industry and town is in trouble as operating costs increase. 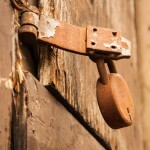 Mining executive jailed for insider trading (0) February 18, 2013 Former mining executive has been sentenced to jail for insider trading by the New South Wales Supreme Court. 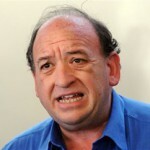 Jobs plan angers miners (0) February 18, 2013 The mining industry has attacked the government’s plan to “embed” an official in big companies to pressure them to buy more local content for major projects. 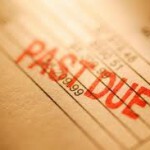 Mining companies slow to pay bills (0) February 18, 2013 Mining companies are bad at paying their bills, a new Dun & Bradstreet Trade Payments Analysis report has suggested. 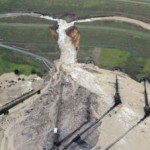 Orica leak not behind locals’ sickness, EPA states (0) February 18, 2013 The Environmental Protection Agency has rejected claims that a leak at Orica’s Botany plant was behind contaminated water and local residents illness. 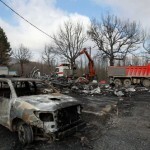 Masked attackers raid Greek gold mine (0) February 18, 2013 Forty masked intruders raided a gold mine in northern Greece, setting fire to offices and machinery. 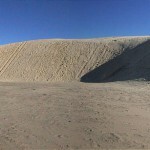 Sand mining proposal sparks concern for Port Stephens locals (0) February 18, 2013 New South Wales sand mining project Salt Ash is causing concern for Port Stephens residents who will today meet with state MP Craig Baumann. 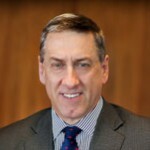 Boart Longyear appoints new CEO and Chair (0) February 18, 2013 Drill manufacturer Boart Longyear has appointed Richard O’Brien as its new CEO and Barbara Jeremiah as the chair of the board.